I am a mechanical engineer by degree and have spent 15 years in the corporate arena ending with a stint in aviation system safety working for Garmin and the FAA. Now I homeschool my two youngest of three boys. I am certified health coach, yoga instructor specializing in athletes and therapy as well as a certified triathlon coach. I have been coaching people and athletes for over 10 years, focusing on what are the simple yet very impactful changes that we can make in order to help the body to heal itself. My philosophy with coaching is to practice consistency, crowding GOOD STUFF in and learning the balance of life. 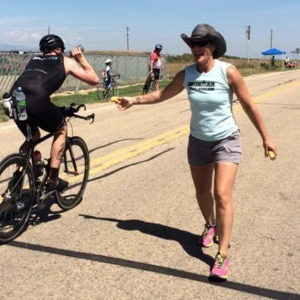 I coach and recommend actions that result in lifestyle changes that will benefit you as an athletes as well as a person, family member, husband, wife, mother, father. I believe that our training in athletics can have such a positive impact in our lives that our entire lives and lives of those around us can be impacted in a positive way. Be coachable. Commit to no quitting. Determined. Do a dream board. No diet soda. Success. Coach Coach BK has been notified of your message.